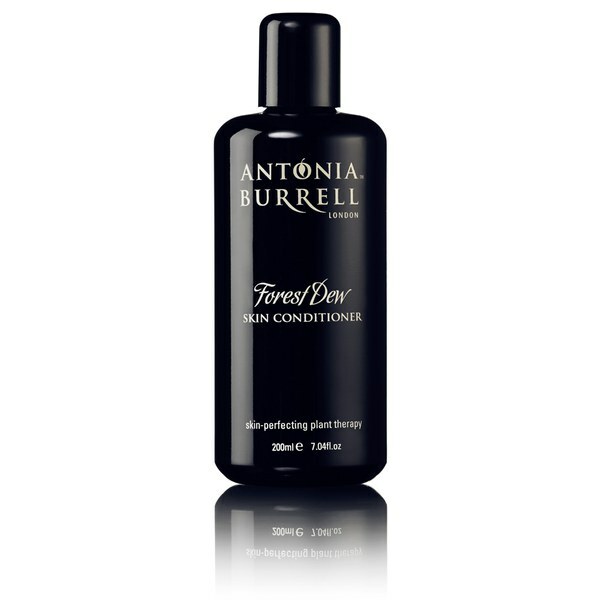 Control signs of imperfections with the Antonia Burrell Forest Dew Skin Conditioner. Working to minimise the appearance of large pores, inflammation and redness, the toner helps to tone and hydrate the skin leaving you with a healthy glow. Ideal for daily use or even as an after sun care, the toner ensures that your skin is always in its best condition thanks to its moisturising properties. The non-comedogenic formula balances the pH of the skin meaning that it is perfect for preparing the skin before applying your make-up. Thanks to the delicate blend of French fucose polysaccharide and cucumber extract, the conditioner hydrates the skin whilst Swiss epilobium fleischeri extract and lavender flower soothes the skin keeping signs of redness at bay. In addition, all of Antonia Burrell’s range contains violet grass which helps to preserve natural ingredients therefore prolonging the life of her products. The powerful formula not only works to restore your skin but it also leaves it with a beautiful lingering scent. A.B. 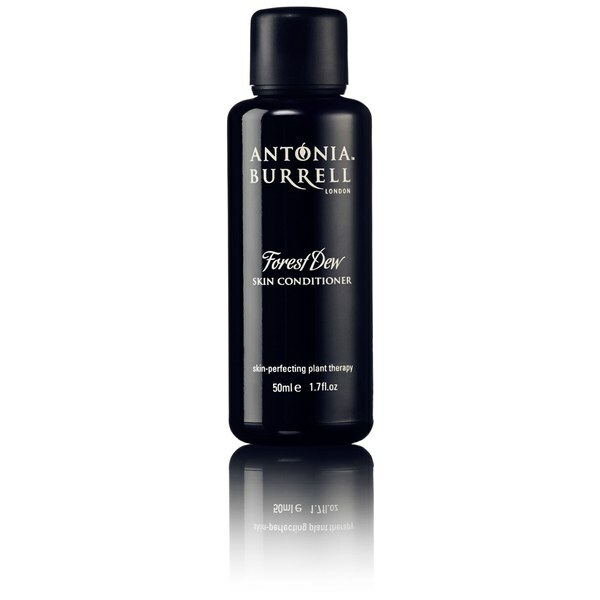 Saturate a cotton pad with the Antonia Burrell Forest Dew Skin Conditioner. Wipe over your face to remove any traces of the Natural Glow Cleansing Oil and to balance, hydrate and refresh your skin.